Young Children Need These ACTIVE Music Activities! 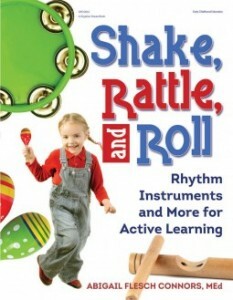 Includes 2 unique, upbeat and engaging active music activities you can easily adapt to your classroom or music program! “Criss-cross applesauce.” “Fold your legs like a pretzel.” “Hold a bubble in your mouth.” If you’re like most teachers of young children you have various tricks and techniques like these to get your class to settle down and be quiet. I do myself. But do you ever wonder why we need these little tricks? It’s because sitting down and being quiet is not a natural or comfortable state for young children. It’s as if a director or principal began a staff meeting by asking everyone to stand on their heads! Young children are movers. They’re runners and talkers and climbers and builders and jumpers and dancers and pretenders. They’re not very good at sitting still, but they’re excellent at playing. Albert Einstein once said, “Play is the highest form of research.” When young children play, they have no agenda except a burning need to learn and grow. They learn about themselves, their bodies, their environment, the people around them, and the larger culture they live in. Realizing that play is how children learn has two implications for what we do in the classroom. First of all, play is an active process which involves children’s minds and bodies. Secondly, play is child-centered and child-led. Of course, this isn’t always practical or even possible, but we can and should try to give children opportunities to initiate and lead activities whenever we can. In my music enrichment classes, whenever I announce that it’s time to play instruments, the group erupts into an anticipatory chorus of “Yay!”s, applause, and bouncing up and down. Every time! It took me a long time to figure out why young children responded so enthusiastically to the instruments, but after twenty years or so, I have a couple of hunches. First, rhythm instruments are toys – at least in the eyes of young children. And they’re the best kind of toys, completely open-ended. Not only is there no one “right way” to play a rhythm instrument, there is a virtually infinite number of ways to play them. This excites children’s curiosity and promotes problem-solving – it’s like a puzzle to think of new ways to make music with each instrument. Children are not only curious about the instruments themselves, but about what they can do with the instruments. Secondly, young children love to pretend with the instruments. Where you and I see a tambourine, they see a hat, a bowl to eat from, a steering wheel, a cake, a planet, and countless other things. Some teachers may see this instinctive pretending as a distraction from learning about music, but I have long been convinced that it’s absolutely vital to acknowledge and respect children’s imaginations. Encouraging invention and creativity may be one of the most important things we can do as teachers. Moving to music is another uniquely effective way to inspire young children’s curiosity and creativity. As they move, they investigate the capabilities of their growing bodies. “How high can I stretch?” “How many ways can I move my wrists, my knees, my fingers?” “What shapes can I make with my arms?” They are curious about movement concepts, which they can explore freely through moving to different styles of music. Take the concept of heavy/light. They can learn about it through our words; they can understand more when they pick up heavy and light objects; but when they actually move like light snowflakes or heavy elephants, that understanding becomes solidly fixed in their muscle memory. Children are also curious about exploring the space around them and how they can move through it. Here are a couple of music activities you may want to try with your class. Young children really enjoy this funny activity, which gets them moving in some very silly ways! Oh, make big eyes like an owl today, and turn yourself around! Oh, flap your wings like a chicken today, and turn yourself around! Oh, hop up and down like a bunny today, and turn yourself around! Even when the children get mixed up (or you do!) this leads to a lot of fun and giggles. “Manos” is pronounced “mah- noce” and means “hands” in Spanish. In this activity children not only learn a new Spanish word, they think of different ways to keep the beat with their hands. Remember, music activities aren’t about singing in tune or doing all the movements “perfectly” – they’re about creativity, expressiveness and FUN! So bring more music activities into your daily classroom routine and watch children become more involved, energetic, and engaged learners. This entry was posted in Articles, Music and Movement, Rhythm Instruments, Songs and tagged action songs, early childhod music, movement songs, preschool music, rhythm instruments. Bookmark the permalink.